Headout offers the best price guarantee on tickets allowing you to save money with hassle free booking. Your combo ticket is valid for 60 days from your scheduled day of visit offering you plenty of flexibility to plan your visit. 24/7 helpline to solve any unexpected problems/queries. 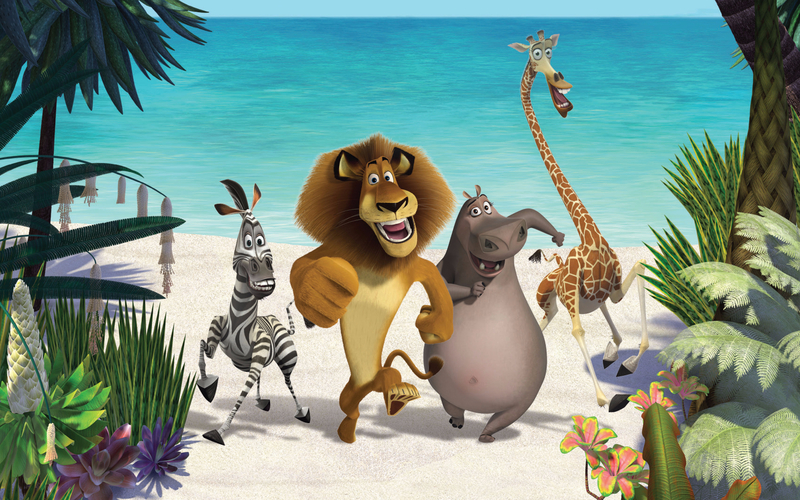 The park is divided into seven different themed zones namely New York, Madagascar, Sci-Fi City, Ancient Egypt, The Lost World, Far Far Away and Hollywood. Each zone holds its own charm and provides entertainment for all. Spend your day traveling across the different zones and trying out the different rides they have to offer. To plan your day at USS and know more about the venue, please read our detailed guide on Universal Studios Singapore. The Southeast Asia Aquarium (S.E.A. Aquarium), the world’s largest aquarium, is home to more than 100,000 marine animals of over 800 species. Divided into 10 zones with 49 habitats, you can find species including the enormous goliath grouper, giant manta rays, up to 10 species of sharks and other gentle giants of the sea which is going to leave you in a state of awe. The centerpiece display a.k.a the Open Ocean Habitat features a viewing panel measuring 36 meters in width and 8.3 meters in height – a spectacular glass window into a serene blue world teeming with marine animals including manta rays and giant groupers. To plan your day at S.E.A Aquarium and know more about the venue, please read our detailed guide on S.E.A Aquarium. 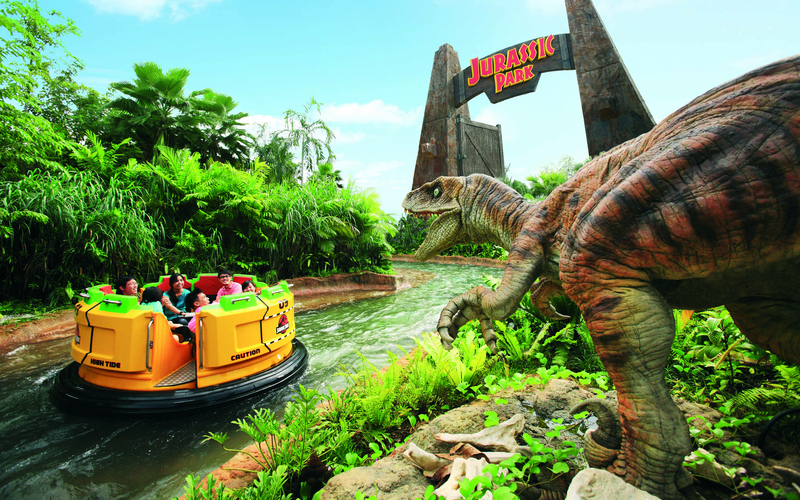 Universal Studios Singapore is open daily from 10:00 am - 08:00 pm. S.E.A Aquarium is open daily from 10:00 am - 7:00 pm. Both tickets are valid for 60 days from the date of purchase. To get to USS by train take the Sentosa Express to the Waterfront station. By car, you can arrive at USS by following the left lane on Sentosa Gateway. For a more scenic route, ride the cable car to the Imbiah station before taking the Sentosa Express till Waterfront Station. 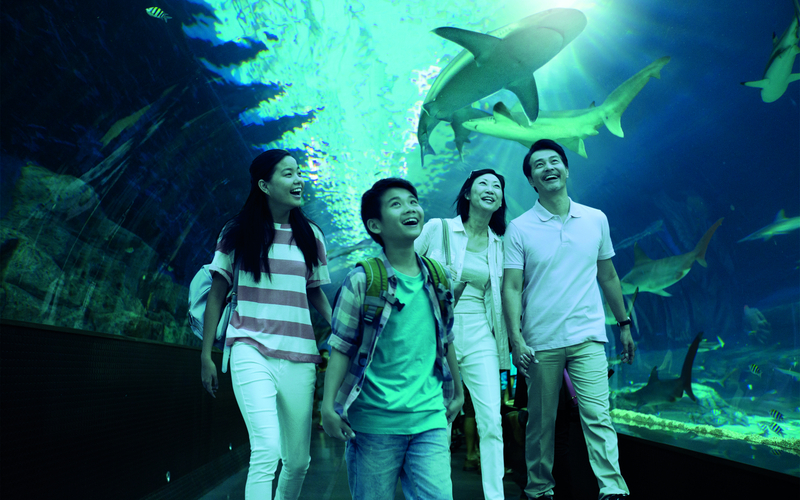 To get to S.E.A Aquarium by train take the Sentosa Express to level 3 of Vivo City. To get here by the public bus system take route RWS8. You will receive an email with your voucher. No need to print. You can show the mobile voucher at the respective ticketing counters. Please carry a valid Photo Id for identification. Both tickets are valid for 2 months from the date of purchase. You can visit the attractions on separate days. Proceed to Global TIX Self-help kiosks at the lockers area located outside Universal Studios Singapore entrance between 10.00am to 6.00pm to redeem for your admission tickets. Photo Identifications may be required at the turnstiles. Proceed to S.E.A. Aquarium Guest Services between 10.00am to 6.00pm to redeem for your admission tickets. Photo identifications may be required at the turnstiles. Corporate requires staff pass or student pass for verification. Ensure you know the layout of the venue by picking up an S.E.A Aquarium Map from the entrance.